MADRID, Oct. 30 (XINHUA) -- The Chinese high-tech company Huawei and the Spanish National Cybersecurity Institute (INCIBE) launched a competition on cybersecurity to encourage young talents on the "key area for a safer society", Huawei CEO in Spain Tony Jin Yong said during a presentation to Xinhua. 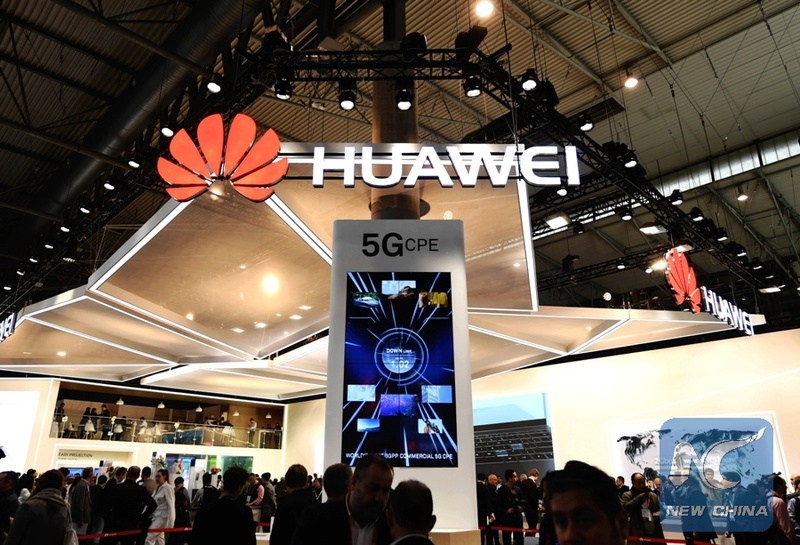 "The purpose is not so useful for Huawei, but for society, we need to promote cybersecurity in Spain, we have to inspire them to contribute to cybersecurity, this is just the beginning," he said. Registration period for the contest called Cybersecurity Talent Challenge will be open from Oct. 30 to Nov. 18. According to Jin Yong, cybersecurity is a requirement for the digital world. "The whole society is turning to the digital world and we need to secure networks to carry out this change," he said. The contest is the first of its kind in the collaboration between Huawei and INCIBE, which signed an agreement in 2016. Alberto Hernandez, director of INCIBE, stressed that Spain is a prepared country against cyber attacks, but has a deficit in the number of young people trained to work in this area. "Cybersecurity is a challenge for national security and we are all working together to protect our businesses, citizens and infrastructure, but we must continue to promote this talent, to obtain all of the above, we need people well trained in cybersecurity," he said. "It is an area with a very large potential, it is an opportunity for our country to create jobs and create new companies, so we are investing a lot of public funds to promote research and capacity development," said Hernandez. The first three classified will win Huawei devices such as laptops or smartphones. Huawei devices are among the most popular digital products in Spain.